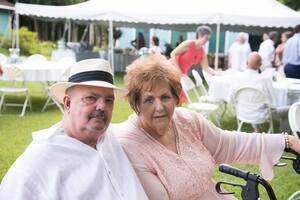 Provide comfort for the family of Norma Saucier with a meaningful gesture of sympathy. 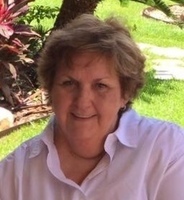 Funeral Services will be held on Monday, March 25, 2019 at 2:00 P.M. in the Duhon Funeral Home Chapel in Church Point for Norma E. Saucier, 72, who passed away on Thursday, March 21, 2019 at 12:07 P.M. at Our Lady of Lourdes Hospital in Lafayette. Pastor Berl Adams, Pastor of the First Baptist Church in Church Point will be officiating for the services. Burial will be held in Our Lady of the Sacred Heart New Cemetery in Church Point. The family has requested the visitation to be held on Sunday, March 24, 2019 at 1:00 P.M. until 10:00 P.M. in the Funeral Home Chapel. Visitation will resume on Monday at 8:00 A.M. until time of services. Survivors include her husband, Michael Saucier of Church Point; one daughter, Emmy and husband, Robert Leroy of Church Point; Ricky and wife, Dawn Gaultier of Church Point, Richard and wife, Betty Gaultier of Church Point, Trent and wife, Laura Simon of Duson; four sisters, Glenda Elkins of Church Point, Mary and husband, Marshall Paddie of Church Point, Kathleen Ourso of Church Point and Joyce and husband, Dale Hargroder of Opelousas; nine grandchildren, Summer, Cody, Lance, Shanna, Zoe, Ava, Collin, Logan, and Kyle; seven great-grandchildren, Marlee, Lilly, Ezra, Taitum, Shaylee, Elizabeth, and Kason. Mrs. Saucier was preceded in death by her parents, Curry J. and Rosa Mae L. Elkins; the father of her children, Curtis Simon; one sister, Peggy Carriere; one infant brother. 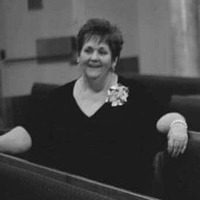 You may view the obituary, sign the guest registry and express condolences online to Mrs. Saucier's family at www.duhonfuneralhome.com. My dear, sweet friend. It was so short, but so wonderful to have been graced with your love and company for awhile. But angels belong in heaven, not on earth. Please watch over us. Pray for us. Little Chloe Shay is lost without you. I think we all are. Good-bye. I did not know The real worth Of your kisses until There was a dearth Your absence has made me Understand your value Everything is crumbling apart Because I am missing you Your not being here Has made me realize That being away from you Brings tears to my eyes Norma, I will keep your spirit in my heart and soul until we are united together in Heaven.
" 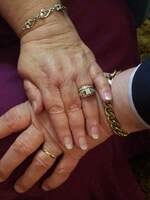 'Well done, good and faithful servant! . . . Come and share your master's happiness.'" Matthew 25:21 I will miss you my dear Norma. You helped me in changing some good things in my life to make us happy together. Thank you, Ethan, Norma loved you dearly as I so do, God Bless.